You are a new parent, right? You are overwhelmed as how to take care of your new baby ? You don’t have a family around to help you, guide you , shoulder your burden of raising your little bundle of joy? You are bewildered to start solid foods for your baby, reason being you hear so many suggestions on the weaning process !! Thanks to the nosy neighbours and internet!! You are about to start work and have no clue as how to manage your baby’s diet requirements while you are away? You are feeling guilty that your little one is not getting the adequate nutrition he requires. Lots of new mommies are struggling with in raising their baby without a proper person to advice or nurture their feelings. After seeing so many posts about caring and feeding babies from distressed new mommies in Facebook Mommy forums. I’ve finally decided to do something about it !! I want to guide and hold your hand while you raise your little one and be there for you when you want to know if the poop color is ok or if the carrot puree he threw up can become a life long allergy to carrots. 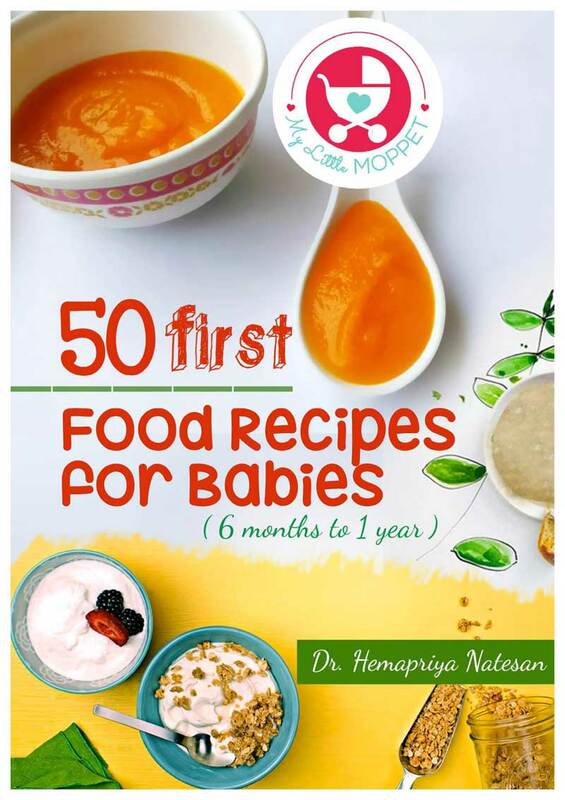 I started MyLittleMoppet to guide you how to care for your little one, how to start solids, what food to give when, whether to give a vaccine or not, home remedies for every possible ailment your little one may suffer — everything you need to know about raising your baby. By the time we’re done, you will be confident in making the right choices about health needs, nutrition and everything that is needed to make your life easier with a baby. You will not worry over your baby’s food strike, nor about his everlasting fussiness for foods, temper tantrums and you will be One Cool Mom !! I am a mommy two times over, a naughty 5 year old son and a bubbly 1 year old daughter. I have been where you are now, twiddling my thumbs as what to feed the baby today, how will she react and many other mommie troubles. This when I started applying my own tried and tested methods on my babies and learnt along the way as what works and what doesn’t. Being from a medical background let me explore the cause of the problem and design a workable solution for it. Be it weaning, toilet training or handling a toddler or anything related to raising a baby I am confident enough now to dole out advices, help new parents like you. You came here because you want to know how to feed for your fussy baby, right? I know what it’s like to force feed a reluctant baby. I know how it is when your baby is suffering and you don’t have any clue to make him all right.!! I know how guilty you feel if your baby refuses food and you are able to do nothing to make him eat. You and me, we’re going to turn it around. Together. All you have to do is subscribe, and let me share with you what I know. Fill out the form below, and I’ll email you how to take care of your baby, starting solids, handling food strike, tolerating a fussy toddler and tantrums, everything that a new mom needs to hear. Browse, Read, Download, and Ask… after all, I am just a comment away. How to make Homemade Health Mix/SathuMaavu. Can you plz help me with a diet chart for my 8 month old baby? First of all, I love you for all the help you provided with my twins … I am thorough with your guidance given in the website and very much enjoyed Shopping various products. Touch wood my kids are healthy and have a well balanced diet all because of you. Only one thing upsets me and no one is able to help me. hope you will relieve my tension. My twins are 3 years old. Boy and girl. They used to have 300 ml milk/day/child but via bottle. On my paed advise, I stopped their bottle and tried giving them milk in sipper. My boy has rejected milk completely despite all my efforts , putting all kind of flavours, sippers, glass,cup, telling stories, soy milk, almond milk, phone etc. The girl was ok with sipper for sometime but now they both are just not having milk. Now this is a month or 2 back story. I have tried compensating milk by a compulsory bowl of dahi in afternoon and a slice of cheese in the eve along with food. Yes, I give them milk cornflakes, Dalia milk, sprouted ragi dosa, egg. Now they r not keen on dahi or cheese which worries me . I need to know what’s the daily calcium requirement and how much min should they have from various food. Also, pls advice me how do I make them have milk? Oh yes, yesterday I gave them milk in bottle and they were thrilled and had it in one go!!!! That’s great to hear from you dear. Thank you for those lovely words of appreciation 🙂 700 mg of calcium is the daily requirement. Cheese, curd, butter can also be included if babies are not showing interest on milk. Milk can be made more appealing by adding nutritious health mixes. Please don’t give in feeding bottle dear. Even if they don’t drink. Because this might make them to wait until you give them feeding bottle. I m mother of 14 months baby .my lo is not walking properly yet ,she walks only with the support of objects and if we took her outside that time too she want us to hold so wht to do i m worried . Thanks a lot dear 🙂 This means a lot to us. 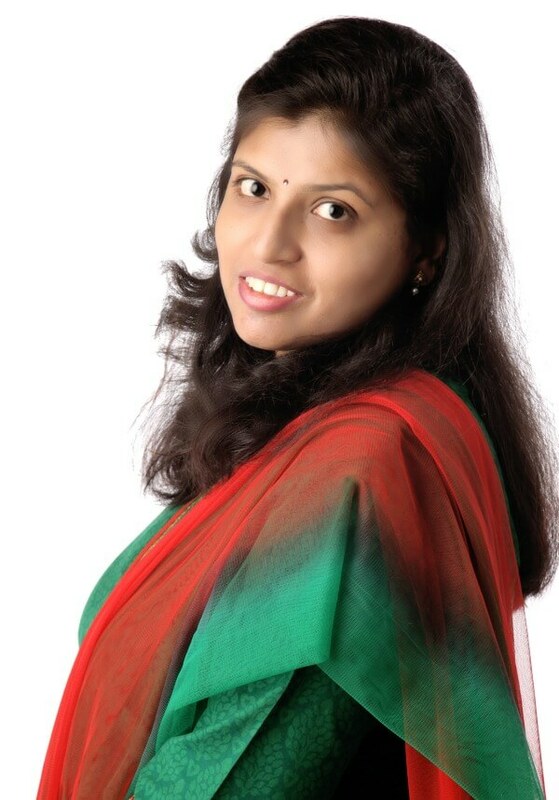 Hi am Dr Muthulakshmi….thanks for your sharing receipe through mail….truly inspirational act . All the best Dr.
Am praba, mother of two boys. One is four and half years old while other. is just 4 months old. Try adding little of curd in the boiled vegetables. You can make tadka and add curd. Try different recipes dear. Our website will help you with different nutritious recipes for your kid. Ask him to select the recipe and make the dish for him. This would create interest. Please check once with the pediatrician for formula milk brand suggestion. You can also start giving nutritious semi solid foods to fill his tiny tummy. No worries please. All scheduled for my Singapore trip from 9th October I was just so nervous as to how to travel / your instant food powder is been a saviour. Please don’t worry about weight dear. It’s okay if the baby is active and healthy. I would like to thank you for the efforts your taking to help out the new Moms like me 🙂 God bless u..
I’m a Dental doctor by profession and a mother of a 5 months old baby boy, I mean he has just started his 5th month.. Can i start solid foods for him? Thanks a lot for your appreciation 🙂 Exclusive breast feeding is recommended for babies, till 6 months of age. After 6 months you can start solids. I am a mother of 14 year old teenage boy. I came to know about your blog as was searching for teenage parenting. My son is in 9th std and have height issues. He is 4.8 and weighs 51 kg. Have consulted the doctor as well. Please guide me what to include in his diet to improve height. Hi, i m working mother of 2 kids, 4 yr boy n 7 months baby girl. I followed ur site since my son was 6 month old. Tried so many of ur recipes. Buttt i missed to teach my child how to chew as my motherinlaw take care of him wen i m at work. His immune system is weak, he often gets infection n fever. These days m on leave as my 2nd child born so m giving my full time to him, started with egg n banana as he love fruits too much Now we are trying hard to make him chew food but he s using only front teeth for banana n eggs, rest all he jst swallow.. He s mostly on khichdi n any milk porridge in breakfast. He keeps moving food in mouth for so long but donot eat. My email id anitasharma614@yahoo.com plz reply me wat can b done to develop his motor skill. Hi Anita, Don’t worry, he will get through this phase when his feeding abilities develop. Try making him watch other children munch food. You can also make it as a game “munch munch, munch like mama “(and show munching) and ask him to repeat, let him enjoy munching food with mama, step by step he will improve. But never try to force him munch, as that might end up as aversion. Please wait patiently. Add almonds, citrus fruits, spinach, yogurt regularly in his diet for immunity, The below links would help you with few ideas on immunity boosting foods and ready mixes to strengthen his immunity. Hi dear, Baby has to be examined before coming to conclusion. Kindly take her to a dermatologist. My name is CHETNA. Mum of triplets. It’s a challenging time to feed my fussy bubs. They r now 15months. Pls suggest me to feed them easy ideas. Hi I m Shaki…. I have one year old girl baby. Her birth weight was 2. After one year she is 6.2kg. Just I worried about her weight. Is this normal or not? Now can u please suggest me which kind of food I should provide her?. Hi, Powder is not at all necessary for babies dear, if you like to use it on baby, you can take some powder on your hands, rub in your palm and then slightly dab it on the baby. Please never apply directly on baby’s face. Hii.. My baby is of 2 year old and her weight is 10.2kg..i would like to know whether the weight is adequate to her age or not? And which are the weight gaining foods for 2 year old? Doctor, my son of 2 month old is not passing bow for last two days. He is breast feeded & he is fed with formula 2 times everyday. There are many foods that you can feed them to gain their weight some of them are Ghee, Avocado, Bananas, Raw Kerala Banana, Milk, Egg, Potatoes, Sweet Potatoes, Ragi, Sathumaavu, Badam Pisin, High calorie energy dense nutritious foods,Pear, Meats (Cheicken/meat), Cheese, Dry fruits, Whole wheat etc can be given in any form to them to gain their weight. And also proper meal and rest do help in increasing their weight. Good to see this website! Hope you and your family doing Good! My lo is 2 years old.He was having food when I started solids in 6 months after that slowly he was not having much. Now he is not having anything..only having milk..he is asking only milk.. I am very stressed becaz of this..i am working women…eventhough I am running behind him to feed food but no luck! I went to paediatrician also he said in this age kids will be like this only..But still I am worried no solid food only having milk..
he is an active kid only. But to get him more nutrition for his everytime active body, I suggest you make smoothies and milkshakes. Try not to force your kiddo on eating and give him some quickly made but healthy bites. Try these tricks and let us know. Between 6 and 12 months of age, many babies or even toddlers go through a passing stage of refusing solids and favoring milk—either from the breast, or formula. This preference is likely due to the ease and familiarity of sucking from the breast or bottle versus the hard work of swallowing solid food. As long as your baby gets the nutrients she needs during this phase, there’s no real cause for concern. 4. Continue to put a wide variety of foods in front of your child and then TOTALLY IGNORE what she does with the food. No comments, no begging. 5. The important thing is not to react or turn it into an emotional issue or a power struggle. Then you will get a picky eater for sure! And this is the food chart of a 7 month old baby. There are many new recipes that you can try feeding your little one. If your baby is 5 months old then only breastfeeding will help your lo. And after starting solids in 6+ month, you can feed water in sips with every spoon of food. Avocado, prunes, plums, apricot can be given to your lo to lessen the constipation problem in babies. If you are feeding formula milk to your lo ask your pediatrician to change the formula milk. Do not feed cereals, carrots etc. to your little one during constipation. My kid is 2yr 3 months and weighs 10.8 kgs. He is still a lot below the average weight for his age as per the growth graphs. He is active all the time and good at other developmental fronts but is notoriously a NON-EATER. This worries and saddens me a lot! Does not eat at all most of the times. Looks like he is not interested in food at all – no matter how interesting the food looks and tastes. He drinks milk up to 400 ml a day. But, is stubborn towards taking any solids. We have to divert him to get him to eat and most of the time he eats when he is only VERY VERY hungry and that’s usually one time a day. He used to eat fruit at least in a day earlier but now, stopped taking that too! He doesn’t show interest in eating snacks either (like bhujiya, sweets). What do I do about it? Could you please suggest a diet chart for him? Thanks a lot for your time. PS: He is about to join school and I really need a fix for his food habits. A toddler usually follows these changes of not eating food. You can present a wide range of foods which he likes and dislikes let him be the judge of the food. And also tell him frequently how food is good for his health via informing him or via playing though videos. You can feed him finger foods so that he has the knowledge of eating with his own hands. Try various recipes whether he likes sweet or savory. Try going from there. Feed Milkshakes, smoothies, Dark chocolate, banana, oats, ragi, sathumaavu, coconut oil, olive oil, ghee, peach,peas, pear etc. Thanks a lot for your response, doctor. Will try my luck again with finger food. Looks like he is not a Chewer. So, as you suggested will try to develop that by giving him more finger food. I am bit stressed and i seek your advice in how can i feed my little one. He is fussy,doesn’t eat from spoon , i need to forcefully feed him. He wont even open his mouth. l purchased few products from little moppet,i know its very good and healthy but still he doesnt open his open. I tired to play with him will eating he takes two spoon and then same old story. He is 7.1 kg now, i even spoke to my ped. all advicing me to feed him forcefully, But i dont feel its right to do. Please help me, Am i wrong anywhere, am i cooking wrong. whats the problem i am not able to understanding. I would be happy if you respond to me. If your little one is less than 1+ year old then you can feed him finger foods, let him feed himself give the spoon to him. Explain him slowly everything even show him some of the videos explaining the importance of food, bribe him with his favorite food or stuff to make him eat.Put a wide variety of dishes in front of him and let him eat play with food and do not disturb him but let your little one know the texture of the food. Feed him finger foods, which are easy and also can be eaten while playing. Give your little one energy packed food, even if he takes 2-3 bites the energy should be high. And try feeding a small portion of food in every 2 hours. My daughter is about to complete 6 months. I am a working mom and would like to know whether fruit purees can be prepared and kept before me going to the office ( maybe 2 hrs prior to her feeding time ) or need to be prepared just before feeding her. Any food prepared to feed your little one should be given within 2 hours and should not be kept in refrigerator. If there is some one who is taking care of your little one ask them to keep the materials ready and when the time comes to grind and prepare freshly and give to your little one. If not you can prepare and keep the puree’s, khichdi and within 2 hours the food prepared needs to be consumed by lo. My daughter is about to turn six months. I was on the search for food charts and recipes and found your website. I believe it’s going to be quite useful for me. I am a working mom and I would like to know whether the fruit purees can be prepared and kept ( maybe 2 hr prior)? Or is it need to be freshly prepared? 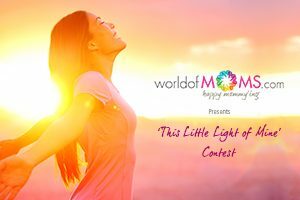 Happy to know that our website is helping young mothers in their parenting journey. Yes any baby food prepared should be fed within 2 hours. After 2 hours the baby should never eat the food. Can I give 10 pcs Almond or cashew to 8 month.She likes it with mixing fruits. You can feed your little one dry fruits powder and not the whole almonds since eating whole almonds may choke your baby. I am Darshit Shah From Gujarat.i Need some information from your Dr.Hemaji. My child is 6 month old.and his wight is just only 5.800kgs. my Pediatrician said his weight is very low.if his weight is not gain then it will be a problem in future in his growth.can you please suggest me or guide me that what to do for his quickly weight gain.i have already order your product like sathumaavu mix,raw banana powder,and sprouted ragi. waiting for your reply asap. Apart from these products, you need to feed your child avocado, peas,pear, peach, dry fruits powder (8+ months), ghee, oats, ragi, olive oil, sathumaavu, bananas, eggs(8 month),plain meat – soups for less than a year old, raw kerala bananas, potatoes, sweet potato etc needs to be fed to your lo. Really happy to see you being such a support system for new mothers like me. My baby is going to turn 4month old on 5th feb. And the delivery was Caesarean. My weight has gone up to 80kgs. Kindly help as in how to shed those extra kgs. As i dnt want to be exhausted when the baby needs me. It is better if you consult this with your dietician since they will help you gradually loose without making any damage to the body and also will give you an appropriate amount of foods that needs to be fed to loose the extra pounds. Your amazing … Thanks for all the receips and advice that you give. Can totally relay on your website for any concerns. I am so happy to read this. thank you dear. There are foods which can be fed to increase weight of your toddler. Like Peas, Peach, Sweet Potato, Potato, Ragi, Banana’s, Milk, Nutrition dense fruits, Avocado,Coconut oil, Olive oil, Oats, Ghee, Sathumaavu, Raw Kerala Bananas & Powder. Even after eating all these foods the child has not shown improvement in weight but is active and completing her milestones well. Then there is nothing to worry about. 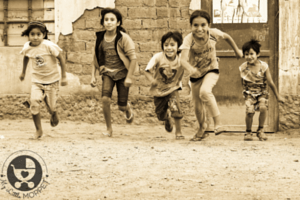 There are certain children who gain weight in adolescent age. Even then they are unable to gain weight then it totally determines the genetics of the baby. 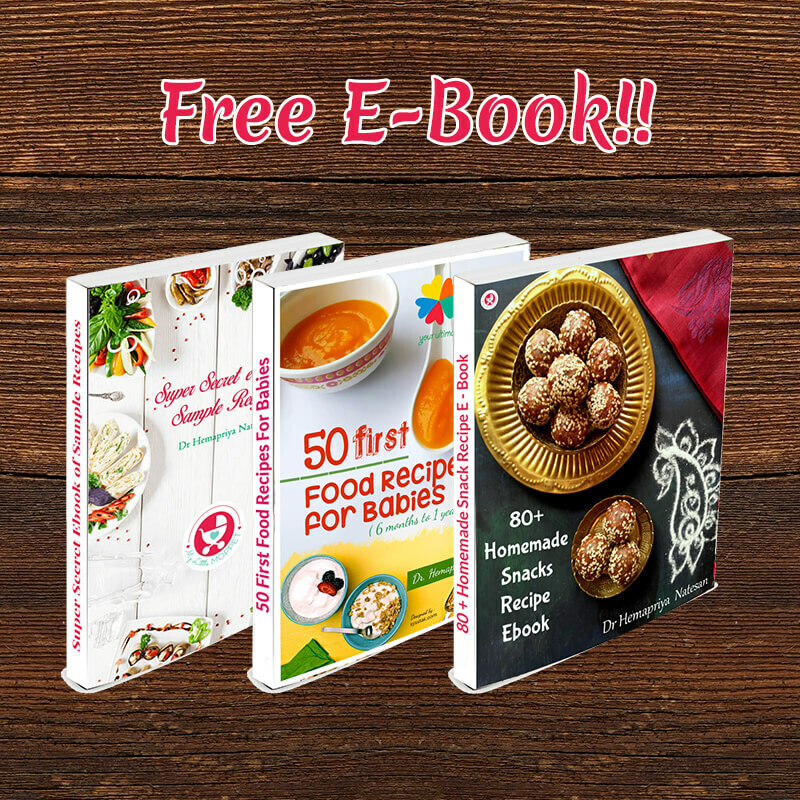 Great seeing your website and recipe book. I need your advise, I am planning to travel to Malaysia with my 11 month old baby but he only eat pureed food. How will I feed him there, I feel it will be difficult to get food and cook for him and blend it and all.. Can I give him food from restaurant that is not pureed.. ? We are leaving after a month and the only thing am worried about is what to feed him since he is already used to pureed food.. Please advise . Hi my angel is now 4th month old.. can i start purees n water? M breastfeeding to her but too i want to start other food also so .. can u plz suggest me wat to start 1st to my daughter? N since from 1month i am giving balgutti along with breast milk..
Dear exclusive breastfeed till 6 months. As long as your little one is active then everything is alright. 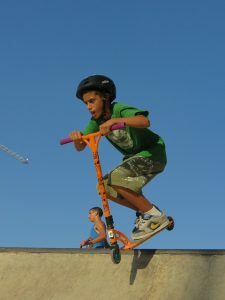 And also children have the tendency to loose the baby fat and muscles when they reach toddler hood or adolescent age. Dear how is the baby otherwise- active? and if you are exclusively breastfeeding the baby, there is not much to worry about. vanakkam dr. my son is 14 mths old i tried cow milk. but he is not drinking. i have to force and feed him. i found no allergy. but every day i dont like to force him so i stopped giving milk. he is still breastfeeding. he is not drinking enough water. everyday i worry wt to giving him in the morning time before breakfast. he wil woke up at 5-30- 6 clock. i am giving idly then ragi porridge. can i give him apple juice r veggie juice in the morning before breakfast. daily can i give him ragi for his calcium requirement. plz guide me wt to give him in the morning time. Yes you can feed him Ragi, Sathumaavu, Raw Kerala Banana Powder/fruit, since your lo doesn’t like the taste of milk then try adding dry fruit powder, turmeric, fruits as smoothies, chocolate for milkshakes etc. There are many recipes that you can feed your toddler and it is mentioned in the below given link. Yes you can start feeding her finger foods. Start with a small portion of it. Let her play with it but she will get to know the texture of the food and will eat it in future. My son is 2 years and 7 months. i am facing the problem to feed him. he is not at all interested in eating. Every time he refuse to eat. What should i do. I tried variety of food as well as we went to park for eating. but he is not eating. And now day by day he is very screaming and shouting on me. Toddler tantrums are a phase and soon settle down. You are doing good by offering varieties. Try food art, make shapes of food and fancy plates etc. Encourage eating with family/siblings and check our options of weight gain foods also to ensure complete nutrition. Hi hema Priya i have 11months old kid .He is not gaining weight .He is having cold and cough .so tell me what type of food mostly prefer to my kid. Hello dear, you can give hot porridge, soups and dal to the little one. Also try to check our link on home remedies for cold and cough so that you can ease the baby more. Offer steam etc. I am Rajeswari. I have a kid (1.5yrs old). I have taken my daughter to germany since i have work here for 4 months. But i took tourist visa for her so she will be leaving this november back to india along with my mother. I have stopped feedinf also. Can you please tell me which food we can take during flight journey (12 to 13hrs)? Also, can we give junior horlicks alomg with water to her during travel? Please help. Thanks for your suggestion doctor. But for a long travel, can we take mashed veggies? If else which milk powder i can buy so that we can mix it with water and give her. How old is your little one dear? (Milk will depend on that) you can carry mashed veggies if its few hours journey. For long one, this can be used for the first meal during travel. Also check the site for wonder travel food options for babies and toddlers. You can feed the milk that you otherwise give. Also carry other travel foods which have longer shelf life. (fruits, veggies, ladoos, dry snacks) you can check the site for recipes. Or you can even pick from our online store. You can carry mashed veggies, potatoes and fruits. Milk powder if you are giving formula to the little one you can carry that. You can also check from our range of travel foods. How old is the little one? There are many other food options we can serve.  Do we get my little moppet stuff in Mumbai ? You can order all the things online dear. Currently our store is in Madurai and rest we have all products online. My baby is 4 months old. Since I have to go for work, I am forced to start formula for my baby… Tried Nan pro… He spitted out… Then brands like Similac is tried…. Finally end up in lactogen….seems that tasted better. He takes only 20 ml and then starts crying… He was on exclusive breastfeeding before. Can I wean baby early… If so what all foods to start.. Is it safe to add sugar in formula..
Weaning can be done after the baby is 6 months. Hi Dr. Hema, my son is 14 months old. Could you please suggest what all could be given during lunch and during 5-6 in the evening as a snack. https://www.mylittlemoppet.com/indian-toddler-food-chart-with-recipes-2/ this food chart should help. This site is so helpful. My wishes to you. And I have a small doubt. I have a 14 month old boy. He is not in the correct weight what a one year baby should be. I ll check your weight gain receipe. And my doubt is my feeding procedure is correct or not? At morning 8 I ll gv 50 ml milk. He won’t drink in bottle so I ll gv him through spoon. At 9 idly. At 11 to 1 nap time at 1 lunch and 3 to 5 nap time after 5 rice kanji or fruits or cerelac. After 8 again idly. At 11 one glass milk. This is my schedule. Please check am correct if not please correct me in this. I think you are taking good care, you can also attempt to feed with sippy cup now it will be good, we have an article on that too to help moms switch over. Yes continue this and you can pick some more variety of food from food chart for toddlers post. Hi Priya, the schedule looks good dear. Please change the meal options some days and add more nutritive food. Do check our site for age wise food charts that ensure a balanced diet for little ones. Thank you for your words of encouragement. Hi Ramya, You can give two tablespoons of sathumaavu powder with 2 cups of water everyday. U r doing a amazing job. Ur site is so much helpful for mothers who r struggling to wean off their babies. Ur guidance is really helpful. Such encouraging words, truly keep us going. Since the little ones take time to digest, best is to give after an hour of lunch, one by one. Hope you are checking our food charts for toddlers, it sure will help. I am veena praveen form abudhabi working as a Nurse.My concern is regarding the feeding of fruits as raw.can I give fruits as raw ? or should cook n give?some of my friends told me so. If you have already introduced food purees or boiled fruits, gradually you can start to introduce raw fruits too. Please ensure you monitor kids as it should not cause choking. Depending on age you can grate or mash and give. Finally I found a site that answers all my worries about my little baby. I will keep following this site now and keep checking for latest relatable information I need. You are doing a great job Hema garu!! How lovely to read this. Thanks so much Madhavi. we get started blogging.then how we earn money. Which means according what basis ,we earn one one rupee? Dear please confirm if you want to start blogging? Hi Dr. Hema i have a 6 month old baby & i have purchased the Saathumaavu mix sprouted and non sprouted one from your website. I would like to know if it can be given to a 6 month old baby and also can i add some Baby Milk Powder like Nan Pro in the saathumaavu mix ? Please let me know. 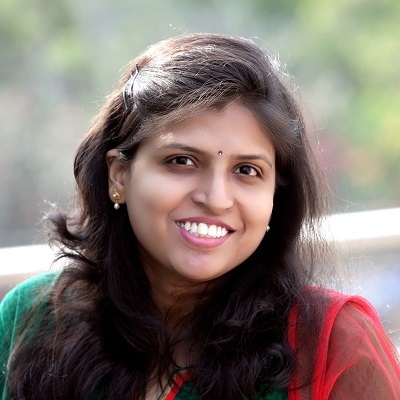 Hi Vrinda, thanks for buying our products. You can give both the products to your 6 month old. There is no need to add any milk powder since it is a complete meal by itself for your little one. I am mother of 4 year old daughter, she frequently suffering constipation even though she used to eating vegetable and fruits also drinking lots of water. Most of the time she hesitate to go for pee also controlling her stool always instead of passing. She said she scared of passing stool also most of the time passing stool in her underwear . Can you please suggest me what kind of food is good ??? we tried fruits and vegetables any alternate food?? Do you ship your products to Canada as well? Hi Hema…. good job kudos… is the little moppet foods available in all shops? Hi doc my son is 5 month old and he have 2 ear infections already what reason is that. Could be due to cough/cold or several other reasons. Hope you are consulting a doctor about this dear. My baby is 6 months old and she is doing 20-25 times urine and 4-5 times motion. Her motion is green from last 2 months and our doctor is says ng nothing to worry this is normal. Whatever she eats and drinks, sometimes she passes urine and sometimes motion. She is still taking my feed. Hi Divya, it is normal for your baby to pass stools and urine frequently. Continue to give her your feed and other solids from the food chart that’s available she will be alright soon. Hi Dipti, I advise you to exclusively breastfeed upto 6th month or formula if your baby is formula fed. You can start solids form 6th month onwards. If your baby is otherwsise playful and healthy, you need not worry about his weight. Thank you so much for your warm words Anaya. Hi Nabeeha, please check with a doctor if you have any doubts about your baby’s condition. Hi Sonia, milk aapko ek saal se kam umar ke bache ko nahi dena chahiye. Yoghurt aur milk ko na mix kare do behtar hain. My daughter is 2 and she has really bad constipation problem.today is the 7th day she hasn’t done a poo. Hi dear, please check the constipation home remedies by searching our blog. This is chaitanya sruthi from visakhapatnam. I ordered sathumaavu mix on 16th of this month and I got it today. My lil one loved it. She is under weight actually 6kgs for 7 months. Iam sure she will be better after having sathumaavu product. Flavour is very good mam. I’m very very happy…thanks a ton…really amazing products. Can sprouted ragi be roasted after grinding it to the powered form. I conduct cooking class in Bangalore. Can I advertise in your site? Please let me know the details. Hello Dr hema. Thanks a lot for all your receipes it’s vry useful for me as a new mom. and I jus bought dry fruits mix,shall I include tat directly into cooked porridge or have to cook along with porridge? I have read your site with surf a little and all the topics on above. Very interesting and impressive. However I’m badly facing trouble with my 6+ years daughter for weight less & skin allergy from her age 6 months. Still he is in under doctors prescription. But not improving any the food habit & skin allergy both. Just for example…her IGE rate come 1300 in last months report and she takes her food (diner or lunch) with minimum an hour. She is much thin than any other girl of this stage. She always like to deny to take food. Now I have plan to visit India but before that I seek your kind direction for her. It would be so kind if you allow me to send his all report has get from her doctors side. Also appreciate if you can give me your contact number / email / skype or other communication link to keep in touch with you this regards. Also if you allow then her Mom can communicate with you. We are in deep frustration about her situation. Cause some persons mad some negative talk about his health condition. Pls be so kind to guide us by return. My daughter is 20 months old . she is drinking lots of water but her stools are hard and big. What could be the reason for that and what to do to solve this? Please suggest some home remedies for that. My son is 6 months old.he was born 1 month before due date.he was 2.1 kg at birth and now 6 kg approx. he is not feeding properly.even he is not rolling.he is very weak.m giving him lactogen 2.and breast feed him 3 times a day.I m confused what to give him in solid foods.plz help me what can I do to make him healthy.do rply me plz. I happened to stumble upon your site while I was looking for some into on ‘white patches’ that appeared on a friend’s kid’s face recently! I couldn’t bear look at the tension that is going through the parents! I am at Hubli, Karnataka and I want to ask you few queries, is it ok if I ask your contact number…???? 🙂 So that the parents can talk to you or do come and meet you personally…???? today i see your web site first time,i like it.I need your advice for my son he 19 years old he dont like to eat any veg and lentil what can i do he start eat healthy. Hello Dr Hema, i am really interested in your Products. Are these available in the US? I see the price in INR and dont see any option to change country in the cart. Is there anyway i get them here as well? My son is 13 month old and his weight is 7.4kg,however his height and head circumference is fine…I m really concerned abt his weight.He was 2.8kg at birth and 6.2 kg at 6 months but after 6 months he had not gained weight much…I probably think because he had started weaning at 4 months as suggested by my doctor…on top of it he is a very fussy eater.evry visit to the pediatrician makes me feel vulnerable coz she keeps on stressing me to make his weight gain. How to know if you baby has appropriate weight gain? I have a 9 month baby, she refuses to eat solids.. Please give me some tips..
Hema when I was searching for startng solid for six month old baby. I came across ur blog. Its really helpful. My baby is 4month 2 days old nd her weight is 6.3 kg. At the time if birth her weight was 1.73 kg nd she is premature baby. My pead suggest me to start solid to baby from six month. Hema can u plz tell me which are healthy and high calorie high protein recipe so that it will help my babys weight gain. I want my weight to be maintain in good way. Hii…Im trying to give oats to my 6 months old baby. But she refuses to eat, may b she does not like the taste. Can you please help me with some other alternates for breakfast. I found your site while i am looking for baby weight gain food recipes. I think now I am join with right person. I am a mother of 17 month old baby girl in Sri Lanka. she eat too little per day & her weight now 9 kg still 2 month. not gain her weight even 1 g per day. what should i do. please let me know that your sathumave , dry fruits powder is good for my baby. and how could i buy this product. I have been following ur site from past 3 year. It has been off great use for me . Having a 3yr old son and a infant all ur suggestion and tips work out really vel for me . I have even bought ur multi grain mix, itz realy gud my son drinks it everyday. ( even i lik it n i drink it ???) . Vil ping u if i have any query. My son is preterm (29weeks) 3+ yr old now but his current weight is 11kg. What diet should I follow to gain his wt. Really I felt very happy after seeing ur site . . . after along time browsing only I got this site . . I thk this s right time to find u . . I m mom of 15 month old boy baby. . he was suffering from fever nd cold . . last 5 days d temperature increased upto 102° . but now fever was fully reduced .. . having cold nd having continues cough over nite even though given medicine . . feeling very tired . . . Suggest me to arrest cough immediately (home ready). ..
Hi.. I have a 10 month old baby boy.. He was born in 34 weeks.. At that time his wt ws 2.2 kg & his head circumference ws 31cm.. My concern is he is apsulutely active & healthy nw.. & also his milestone are on time.. One thing I am concerning is he is going to be 10 month old in couple of weeks nw & his wt is 6.4kg only & his head circumference is 43cm.. He is eating everything 3 times/day.. Every veggies every fruits purée rice cereals oats cereals indeed I am giving him formula 6oz/day(recommend by pediatric doc USA) or even he is on my breast feed also.. Bt I don’t know why he is nt gaining a proper weight.. Is that bcz he is digest easily?? Or his ailmentry system is over active?? Cz 4-5 times/day he does potty.. Thanx..
Hi! My LO is 3.5 months. My family members suggest I give angoor juice in the morn.is it.ok? Soaked dried grapes..smashed and strained in a bottle? Just once a day every morning.. They say good source of iron and prevents constipation! Your suggestion. Can i add apple while making khichdi for my baby. Can I give sathu mavu two times in a day..? 8 year son is only 17.8 kg we are very much worried , please help ! Hi Hema , I am a mother of 18 months old boy . He is very active kid but he is not getting used with his sippy cups. He is not picking up any food , chewing and eating . I have to give in somewhat mashed and semi solid consistency. I am so much worried and concerned. He is still drinking water in his bottle that too I have to feed him. Please help me. 3. Sometimes it helped to give a spoon and let him try to feed himself. He might have only gotten a couple of bites into his mouth, but he will more likely to keep it in his mouth, chew, and swallow it. 5. Remain calm. We know this is extremely hard because it can be frustrating and nerve-wracking when your child eats a diet of about three bites! But if you are anxious at mealtimes, he absolutely will pick up on that. I can tell you from experience that it will not help the situation. Keep working with him and see if he improves. Hi Hema, my girl is now 15 months old. Still facing problem to make her eat anything. She does not even touch milk and only breastfeeding. Hence she is only 7.3 kg underweight. Can u plz help me to make her foody. So that i m little free from tention. Hai ,can u tell me is der any changes in nutritional changes in soaked n unsoaked almonds ? i accidentally came across your site.but every happy that i found this. i am a working mother with 10 months little angel. i leave her with my in laws. she is some what like fussy kid. she will not have any fruits, vegetables even some times refuse to drink water also. i leave home by 8.30 am and reach by 7.00 pm. iam in a position where i can not make her eat anything in morning because i will be busy with household work and in evening if i give any fruits she will not have her dinner . please help me . Hema, I too have the same problem as Bhavya. By the time I reach home, there is no enough time for me to introduce new foods to her. Am worried if she will lack vitamins as she doesn’t have fruits at all. I have made Sathu Mavva from your site and she likes it a lot. How are you? I was just trying to look for recipes for my 11 month old baby girl came across ur website. I have been told by the doctor not to start non veg until 1 year but my family is like start with non veg I am not sure which one to start with first and please if u could give good recipes to start with. Will be really helpful. Thanks in advance. This might be a usual problem with toddlers but my kid doesnt eat anything properly. What diet should I give her which includes lot of nutrients. I am working mother so I don’t get enough time to spend with her or feed her. How to cope up with such things? Can you suggest recipes which I can prepare before I start to office? I have a girl baby.she is suffering from reflux and on treatment. Now she is four months complete. But in the previous month there is hardly any weight gain. My paed have asked me to start with solid foods.could you please guide me which foods are good and which ones are not to be given for babies with reflux.and also how much quantity be given to prevent over feeding inorder to prevent reflux. My baby just turned 4 months old.Can i give Water with palm candy added to it. Is it right time to start with boiled apple? my princes is 6 month old now… Can i introduce dates syrup to her? My baby z 6 months old and we started raagi for him…could you please also suggest can we give fruits to him if yes which fruit? I have received the e book thank you so much for your reply and e book..it’s very helpful..but I have a doubt..can I try different fruits every day to my kid? Is that ok? Felt very happy as i found ur site while browsing,as you said we have to face lot of hardships in motherhood,well me to gng in the same phase, am a mother of 4months old boy. Waiting for my Lo 6 month to feed him solids.. Thanks a ton Hema your food charts are awesome.will take ur help if still i have any doubts… Cheers..
Hey Hema. Hope you remember me. Dint know you have so much talent other than studying well. Really proud to have studied with you in the same institution. Im a soon to be parent and will contact you for all the necessary info. Hi Ashwin Sir, How are you and your family? How can I forget you ?? Thank you for your heartfelt wishes 🙂 great news, congrats!! I will message you in fb, take care, do let me know when the baby is born….